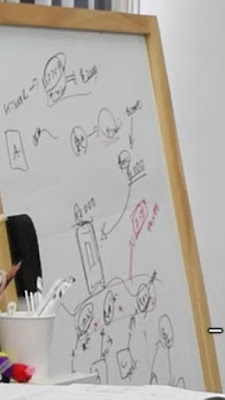 The whiteboard next to Yu, with an enticing but cryptic diagram. 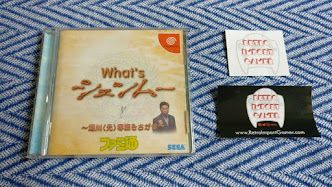 Q: Is there a difference between the story in games and other kinds of entertainment? 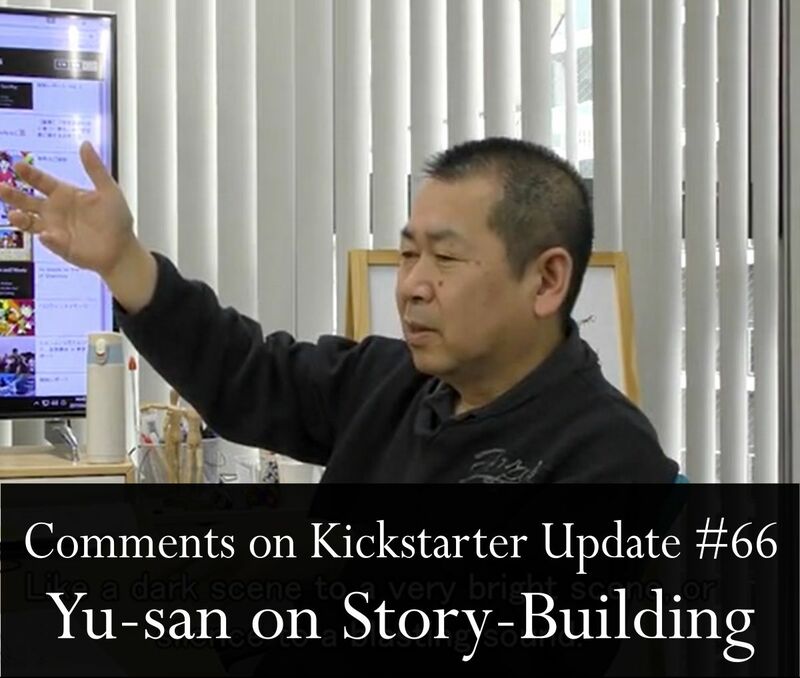 Yu comments that, compared to a movie that may be a couple of hours in length, a game can be played over dozens of hours and so a different approach must be taken for the story. There is a need to ensure players remember events that may have happened much earlier in the game. In fact this ties directly back to a Shenmue "Postmortem" talk Yu gave about Shenmue at the Game Developers Conference in 2014. 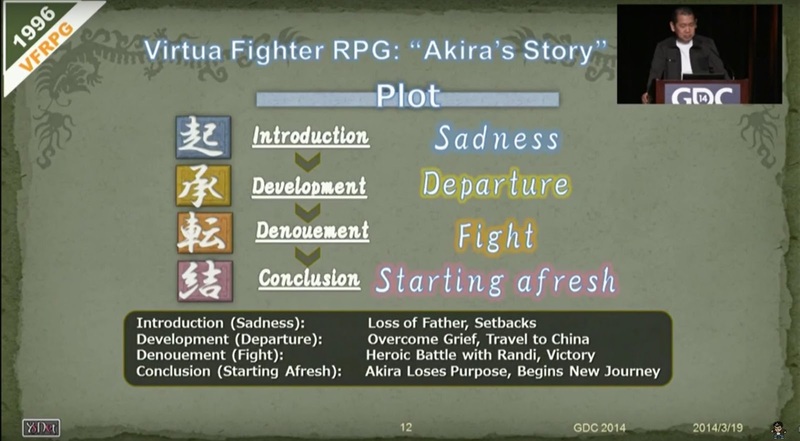 In his talk, which can be viewed on YouTube, he explained that the plot of Shenmue (or Virtua Fighter RPG, as he originally named it) follows this very structure, as shown on this slide. The narrative for Shenmue's story is based on a classic four-part structure. 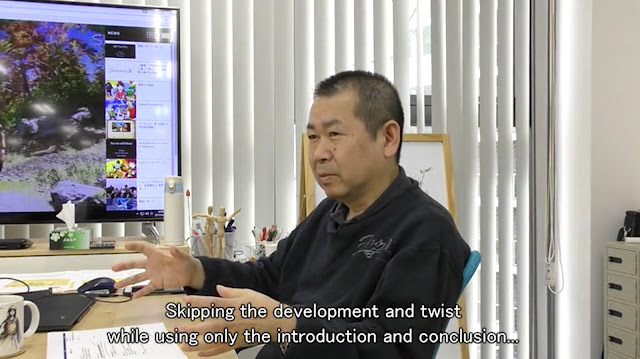 In the interview this time, Yu remarks that including one narrative structure (consisting of Introduction, Development, Twist, Conclusion) in the game is not enough to fully engage the player, so it becomes necessary to include multiple plot structures. The problem then arises of how to manage each of the different Introductions, Twists, Conclusions without things becoming hopelessly confused. Yu's solution is to eliminate the middle two stages (Development, Twist) in the structure for each of the sub-plots, and keep what he feels are the two most powerful elements for each: namely, the Introduction and Conclusion. 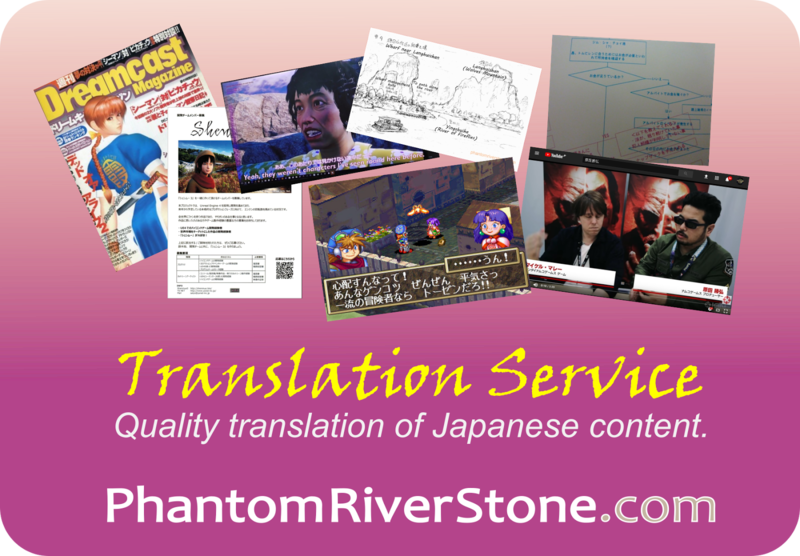 This makes it much more manageable to mix and position them within the overall story. Q: Where do you get your ideas for the story? 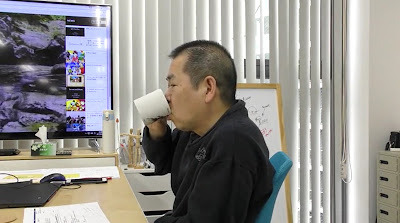 Yu comments that with digital media like DVDs, he is able to note down the exact timestamps of movie scenes that take his interest, so that he can come back and review them later. He also explains that for him, the key to producing emotional impact is a strong contrast between two states (e.g. a dark vs brightly lit scene, or dead silence vs blaring noise). He finds it instructive to study the way in which these are placed and overlaid in movies to good effect. ..before a final, seemingly-unscripted question. 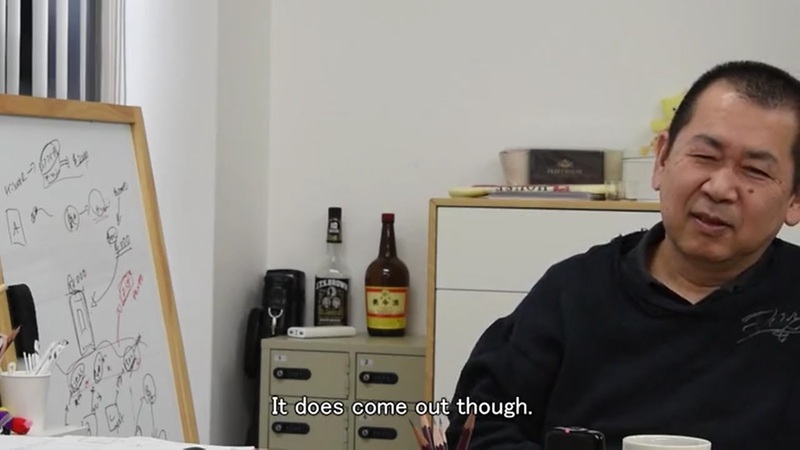 Q: Will the Sword of Seven Stars, which came out in the last part of S2, come out in this series too? 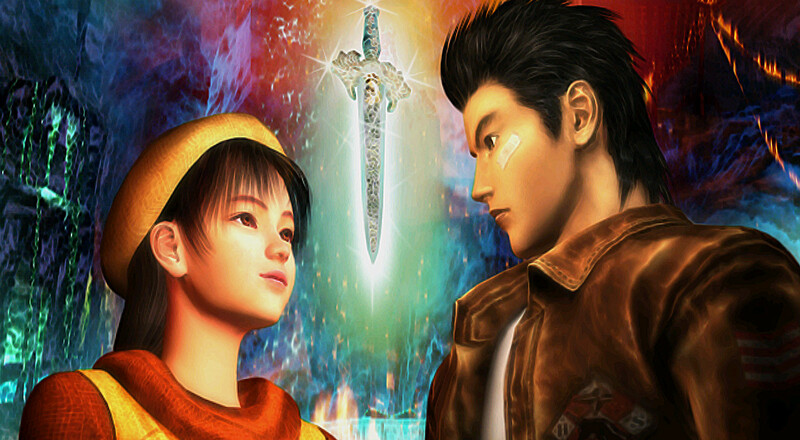 A little snippet of new information to finish with, as Yu confirms re-appearance of the sword that Shenhua's stepfather left for her. Although it would be have been quite a shock if the answer had been negative! 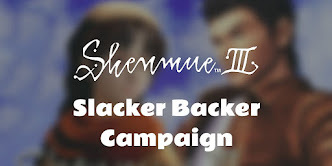 Overall, a nice little update, although it doesn't give much away about development progress on Shenmue III. I'm OK with this, and it was a pleasure to hear Yu Suzuki speaking about his approach to game and story design. 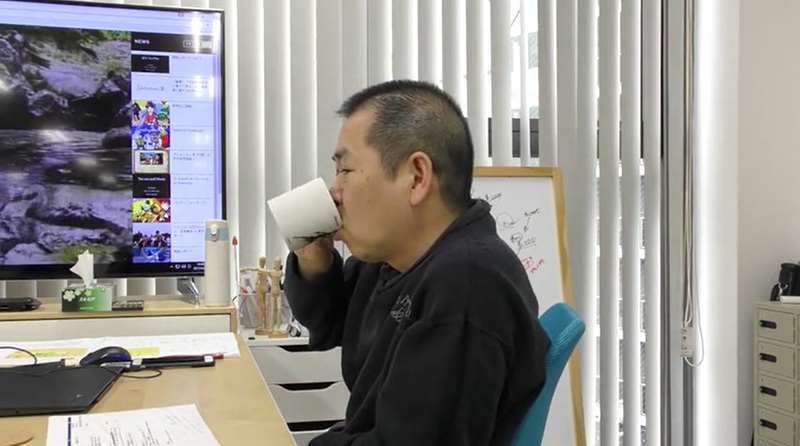 They may well be saving further demonstrations of in-game footage until a trailer or reveal of some kind for maximum impact - the upcoming E3 event in mid-June is one I'm sure we are all keeping a close eye on.